Wednesdays, February 15 – March 15 with Jan Hudzicki – 6:30PM – 7:45PM! Have you lost strength and flexibility as the joys of life put smiles and love lines on your face? If so, this class is for you. 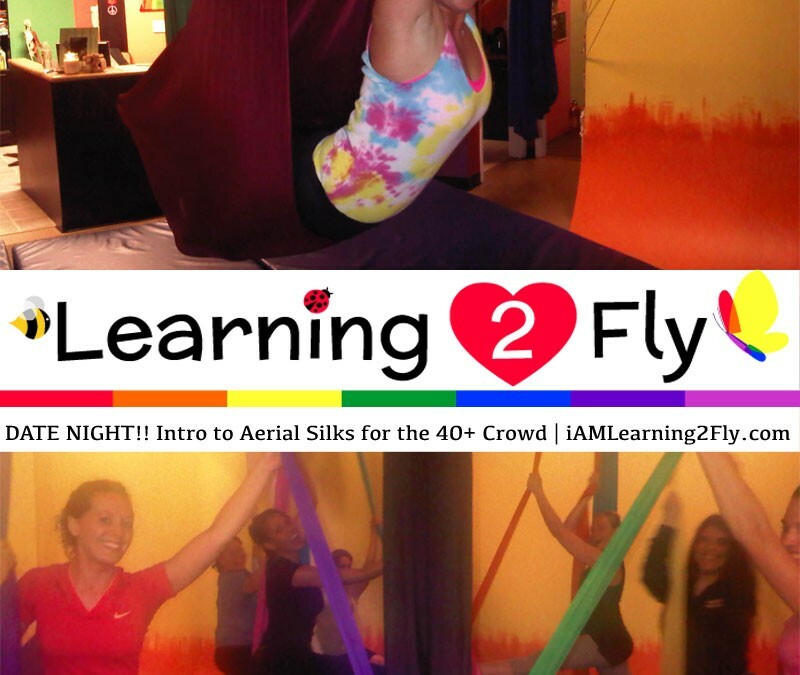 We will begin by working on increasing your strength and flexibility by learning basic poses and climbs on the colorful silks. As you gain strength you will learn combinations of simple moves and gradually learn more complex moves, including drops and dives. With patience and a regular commitment, you will discover muscles you forgot you had. Say YES to regaining and improving muscle tone, strength, balance, abdominal strength, and the “I-Can-Do-It” Attitude of the young. We welcome any age 50+, any body shape, and any fitness level. Come discover for yourself what aerial silks can do for you! Because you CAN at any age. We welcome any age 40+, any date, any body shape, any fitness level. Come discover for yourself what aerial silks can do for you! Because you CAN at any age.